The brightest, shiniest star in Hollywood, Tom Cruise, has signed on to star in Mission: Impossible 5. The news has been confirmed by Paramount Pictures and Skydance Productions, who were both behind the last instalment. As yet, no director or writer has been revealed – but Deadline has it on good authority that the guy for the director’s chair is none other than Christopher McQuarrie. Who’s that, you might ask? McQuarrie was the director behind the newly-spawned Jack Reacher franchise. No stranger to the Cruise, he’s collaborated with him on three previous projects. Valkyrie, Jack Reacher and the upcoming sci-fi flick All You Need Is Kill. The will-it-won’t-it-happen Top Gun 2 may further extend their partnership. Whoever lands the gig will be working under the umbrella of JJ Abrams’ Bad Robot production house. Abrams, who directed Mission: Impossible 3, remained onboard the franchise for the fourth instalment. Together, he and Cruise chose Brad Bird to escalate the franchise which raked in a colossal worldwide gross of $700 million. You can’t grumble at that. Such a huge box office haul was most likely instrumental in the continuation of the film series. There’s no question about Cruise’s star appeal. Now pushing 51, he’s knocked out films for the last four decades to varying degrees of success. His most recent efforts proving that despite his age, Cruise ain’t got time for wallowing. 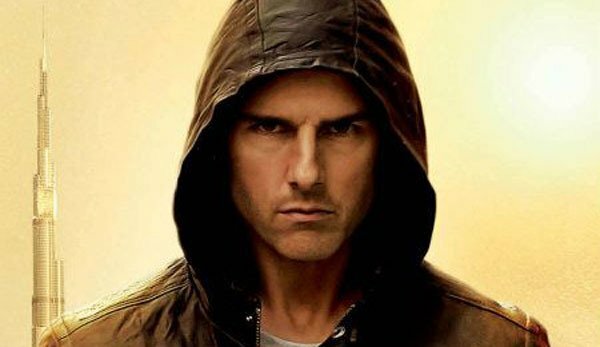 This last year he starred in the first Lee Child’s adaptation Jack Reacher which made $216 million and Oblivion, which has currently made $220 million. It’s just a surprise that Mission: Impossible 5 wasn’t announced sooner, really. Before that, Cruise will be in Guy Ritchie’s next film, The Man From U.N.C.L.E., and has been rumoured for the tentative Van Helsing remake. He’s signed up for Mission: Impossible 5, that we know for sure. What will they have him scaling next? Probably a satellite.